How secure is your fixed price building contract? It happens every summer in Melbourne as the weather heats up and our rainfall becomes inadequate, it’s definitely time to start watering our gardens. Of course in times of drought this is often restricted unless you have invested in water tanks. And with the time and effort put into establishing a tranquil and inviting garden surrounding your acreage home, you certainly don’t want to risk losing your plants and lawn when the weather turns hot and dry. If you are planning a new home on acreage, now is the time to consider your water requirements, as they will be substantially more than the average homeowner and paying for water can make a lush green garden very costly during summer. Remember everything on acreage is on a larger scale and your water requirements are no exception. The most important preparation you can make before you start to landscape is a well set up water storage system. When you are building on acreage the best time to do this is during the building process. As acreage homes builders we have the experience to advise you on how to maximize your roof area so that you can collect as much precious rainfall as possible, to use in the dryer months. If underground tanks are required we have the professionals and equipment on hand to excavate and install your tanks to flush toilets and to use for irrigation purposes. 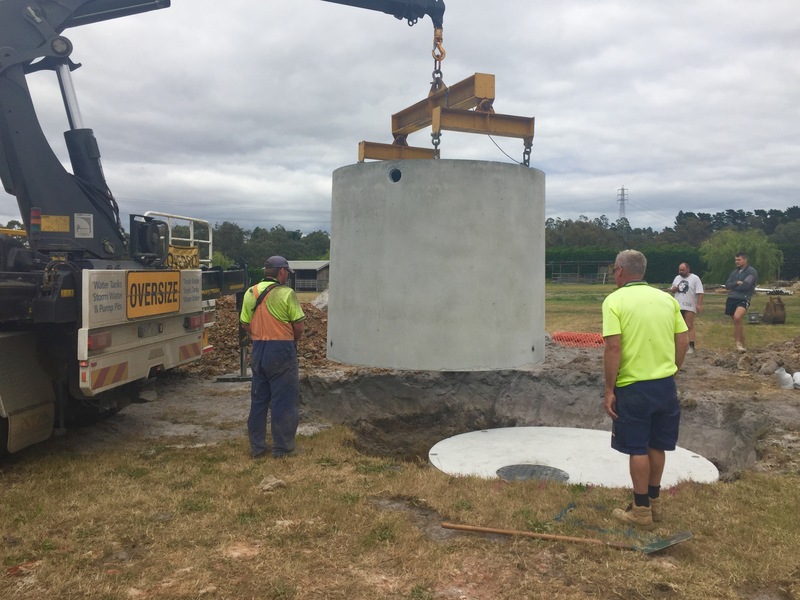 This can be incorporated with the setting up of storm-water drains and down pipes during the building process, as this the most efficient and cost-effective time to install these tanks. It is also a good idea to have the excavation done by a professional who can remove (or distribute) the excess soil, so you aren’t left with unsightly mounds of soil after your acreage home is built. Above ground tanks are also very popular on acreage as they can be colour matched to your home and surroundings. These can be set up with heavy duty irrigation pumps which can run up to 12 taps and provide maximum water pressure. 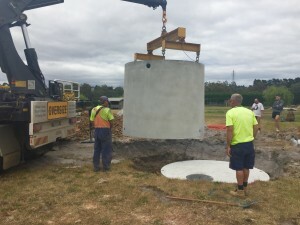 The major drawback to installing large water tanks above ground is usually the space they take up but with careful consideration, on acreage this usually presents no problems, especially if considered before you start building. The other benefit to installing water tanks during construction is that your tanks can be filling with water while the rest of the building process takes place ensuring that when you move into your home and start to landscape, you will do so with some water in your tanks. The other consideration to be made before you start to build is the septic tank or waste treatment system. This is often a requirement on acreage land as you may not be connected to the sewerage system. Most building surveyors will not approve a building permit for a new home on acreage unless a permit for a septic tank has been issued. 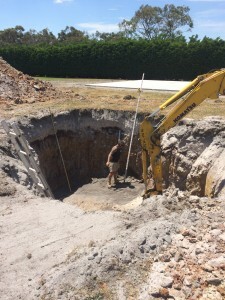 As acreage homes builders we can advise you about the correct location, selection and installation of your septic tank or waste treatment system. We can also handle the permit for you, as part of our building permit application process. Your local council usually requires that your septic system will be serviced quarterly, and our installation contractor can also take care of this for your peace of mind. Building on acreage land is very rewarding but it also has many special considerations and water/waste management just one that we feel it is important to bring attention to. Most homeowners do not have access to the necessary professionals or equipment to install water tanks and septic tanks, but we can seamlessly incorporate this into our building process if required. This is one of many areas that we, as acreage homes builders, continue to provide an extra (but vital) service to our clients. You may have some comments, and I would love to hear what you think. Why not give me a call on 9776 7101?